Proud, experienced, authorised suppliers and installers of VUE products, we are specialists in combining cameras and recorders with other products and solutions that your fleet vehicles require for absolute reassurance. 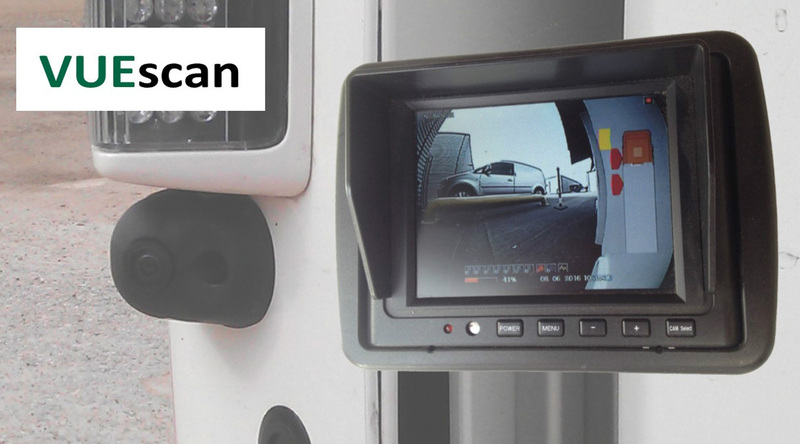 With a wealth of experience in building complete integrated CCTV and tracking systems for vehicles, we project manage the wiring and installation of your required products. We can also provide ongoing support at your place of work to ensure that your business runs smoothly. We supply and install a wide range of vehicle products, from simple off-the-shelf products such as reversing camera systems, to fully integrated vehicle systems that include cameras, side scanners, tracking and telematics, screens, digital recording, and satellite navigation. Telematics is becoming a standard solution for managing fleets be they HGV’s, light commercial vans or company cars or a mix of all of these. 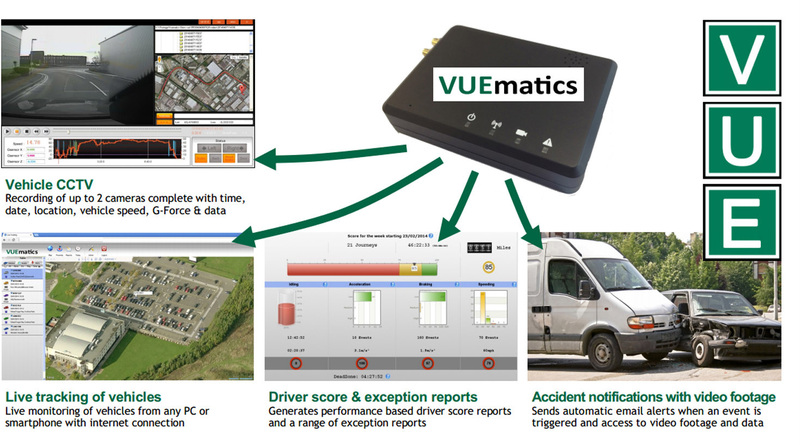 Originally installed to monitor overall fleet performance fleet managers now see the impact it can have on driver behaviour and as a key information source for their Risk Management strategy. Combining telematics data with on-board CCTV footage delivers the information necessary to improve road safety and your knowledge of how your vehicles are being used. This underpins a reduction in accident frequency and the associated direct and indirect costs including insurance premiums. VUEscan and VUEscan rear are the latest technology in integrated vehicle ultrasonics. This digital proximity system works down either side of a vehicle or on the rear as a reversing aid. VUEscan and VUEscan rear are different from other ultrasonic solutions in that they can be integrated with on board camera systems. This means that the driver has a clear visual aid, via an on screen display, showing where the obstacle or vulnerable road user is, which when incorporated with a camera means that the driver can make clear and quick decisions. VUEscan has digital sensors which means that if a sensor is damaged the whole system is not rendered useless, the damaged sensor is simply unplugged and changed. 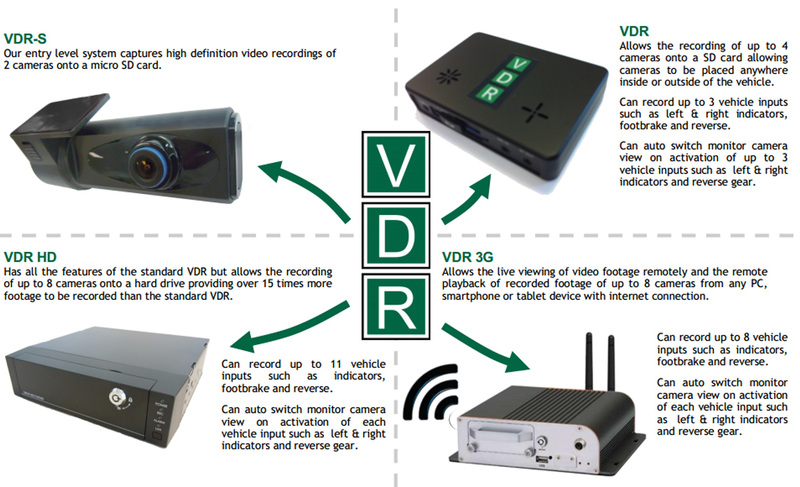 Our Video Data Recorder (VDR) range is a fully bespoke CCTV solution tailor made to suit your specific fleet requirements. Our VDR range is more than a CCTV solution, it also records other key data such as time, date and GPS location detailing when and where the accident took place; along with vehicle speed and G-Force data which shows the severity of the accident. The VDR range can also record vehicle inputs such as left and right indicators, footbrake and reverse along with custom inputs and can auto switch the monitor view to show the relevant camera when a vehicle input is activated. “Our VDR range records CCTV footage complete with time & date, vehicle speed & location, and G-force data”. Our VDR systems are fully expandable and can be customised to suit every user’s specific requirements. Additional cameras can be positioned anywhere on the vehicle internally or externally allowing internal cameras facing the vehicle driver and/or passengers and externally mounted side and rear cameras can be added eliminating vehicle blind spots. Alternatively you can complete the contact form below.